Born on November 24, 1963 in Los Angeles, California, Colley began studying bass at age 11. At 13, Scott Colley began studying with Monty Budwig while simultaneously woodshedding with Paul Chambers and Charles Mingus records and playing standards two nights a week at a jam session in Pasadena. By age 16, he discovered the music of Jaco Pastorius and Charlie Haden. The towering influence of Haden's music came into his playing through the classic recordings of Ornette Coleman. From 1979 through 1981, Colley played duo gigs around L.A. with the great pianist-composer Jimmy Rowles. In 1984 he was granted a full scholarship to the California Institute for the Arts, where he focused on composition and jazz studies while also studying privately with Charlie Haden and classical bassist Fred Tinsley of the Los Angeles Philharmonic. In 1986, he began touring and recording with jazz vocal legend Carmen McRae. Scott Colley graduated Cal Arts with a Bachelor of Music degree in 1988 and soon after moved to New York City. While continuing to work with Ms. McRae through 1990, Colley also made U.S. and European tours with the likes of Dizzy Gillespie, Clifford Jordan, Roy Hargrove and Art Farmer. 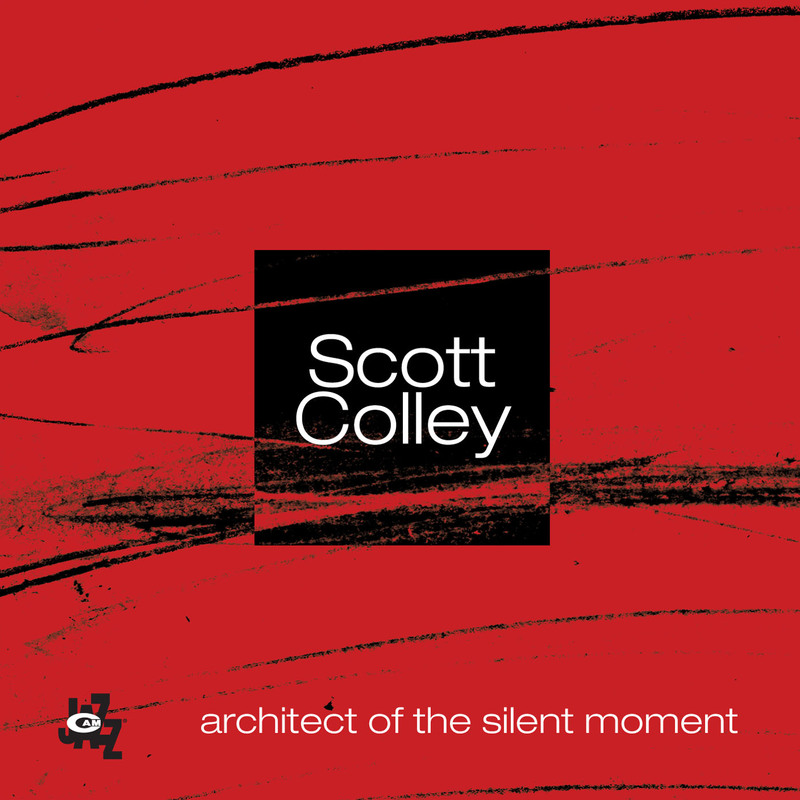 From 1991 to 1995, Scott Colley performed and recorded with many band leaders including John Scofield, James Newton, Joe Henderson, Billy Hart, Mike Stern, and Phil Woods. From 1996 to 1998, Colley’s work included the celebrated "Grand Slam" tour with Joe Lovano, Jim Hall and Yoron Israel and a separate band featuring Toots Thielemans, Bobby Hutcherson, Billy Hart and Kenny Werner; European tours with Lost Tribe; trio concerts with Ravi Coltrane and Al Foster; trio and duo engagements with Jim Hall; various gigs in quartets led by Chris Potter, Renee Rosnes and Bob Berg; extensive touring with Andrew Hill's "Another Point of Departure" sextet and work with Lan Xang. For the past 3 years, Colley has toured extensively as a member of Herbie Hancock’s working trio (with drummer Teri Lynne Carrington) and two separate quartets (one featuring saxophonist Gary Thomas, the other featuring vibist Bobby Hutcherson) at concerts around the world. Hancock’s trio has also performed in concert engagements with symphonic orchestras in the United States. He says his time with Hancock has been invaluable to his growth as a musician. Colley’s plans for 2004 include a trio tour with Jim Hall and drummer Lewis Nash, more touring with Hancock and with Chris Potter (in the wake of his upcoming Live at the Village Vanguard release on Verve), tours in the U.S., South America and Europe with his own trio and quartet. He is currently composing for a new recording -- a quartet date featuring pianist Jason Moran, trumpeter Ralph Alessi, and drummer Bill Stewart. Scott Colley's remarkably empathetic skills, strong melodic penchant and improvisational daring have also served him well in groups led by colleagues Chris Potter, Greg Osby, David Binney and Adam Rogers. But it is as a composer and bandleader in his own right that Colley has flourished in recent years, as evidenced by a string of consistently impressive recordings, beginning with his 1996 debut Portable Universe, (Freelance) and continuing with 1997's This Place (SteepleChase), 1998's Subliminal (Criss Cross), 2000’s The Magic Line (Arabesque) and 2002’s Initial Wisdom (Palmetto). 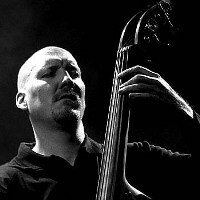 Recognized by Down Beat as the top “Talent Deserving of Wider Recognition” in the magazine’s 2002 critic’s poll as well as a nominee in the 2003 Jazz Journalist Association Awards, Scott Colley has been one of the most in-demand bassists on the scene, appearing on more than 80 albums to date. He has also worked with a variety of musicians from guitarists Mike Stern, Pat Metheny, John Scofield and Jim Hall to saxophonists Joe Lovano, Michael Brecker, Clifford Jordan and Greg Osby, pianists Hancock, Kenny Werner, Joachim Kuhn and Edward Simon, and drummers Bill Stewart, Brian Blade, Billy Hart and Roy Haynes.